Nurmagomedov confirms his team are in negotiations with the UFC for his next fight to be with McGregor. He says he is willing to wait to face McGregor, but not for long. We’re talking, but if it takes too long, I don’t want to do that. We won’t wait long. I want to fight Conor and if he can fight, I will fight him. If he wants to fight this year, then we can fight. Otherwise, I don’t know. Mayweather admits McGregor UFC fight is possible as he reveals desire to come out of retirement. Retirement has been great but as everybody knows, I go to retirement, I come back. Is it possible I’ll come back? Yes, but if I do, it has to be in the octagon…I spoke with my team. Al Hayman says no, but I spoke with Showtime and CBS. If we can get together with Dana White and the UFC to make a mega-fight happen, one fight, it could be against Conor McGregor, we don’t know…Or we could do a multi-fight deal. But Showtime and CBS have to be involved if I do a multi-fight MMA deal…When I do go to the octagon I look forward to going to probably around 145 (lbs), if that’s a weight class. But right now I’ve got my promoter hat on…We don’t know (if we’re going to do it). (Do I want to?) Absolutely. Only if the money is right. Of course the numbers are going to be crazy…I can contradict myself. I can change my mind. I can do whatever I want to do, I’m Floyd Mayweather. I would not box again. Conor is trying to do everything he possibly can to get back into the cage and wants Khabib no matter what it takes. He has never wanted a fight so much. He doesn’t care about the money for once, he just wants to get this guy one on one as he feels this whole situation was caused by him and he wants to make him pay. He would take this fight on for peanuts, he wants to make it happen. After Nurmagomedov’s win over Iaquinta strips McGregor of his UFC lightweight title, the Russian fighter says he wants to face McGregor in the octagon. We have to finish this beef. Beef, chicken, or something like this. He have to stop eat Burger Kings and — you want to fight? Come. I told you guys, we’re gonna make him humble. I told you guys, I’m gonna change this game. Now, only one champion. No more fake champions. No more champion who never defend his title, or something like this. Now, UFC have champion, and this champion want to defend his title. You want to fight? Come here…Inside the cage, come. Outside the cage, let me know without camera, without all this media. Like men. He come when a lot of security here, outside the bus, inside the bus, security here, don’t let me go out. Like, he try to, ‘Hey, come out,’ like this. Why you need this show up? Let me know and that’s it, any time…He have to fight with me. Now, no more this all fake champions. You guys remember when he put tweet, ‘Beg me.’ Please, beg me…We have to finish this. It’s going to be very big fight. It’s going to be very big fight, I think. Let’s go. I am ready for this. November, September in Moscow, November in New York. Any time. Let’s go. Let’s fight in Africa or somewhere. I am here. McGregor’s manager says his client is looking forward to getting back to fighting. 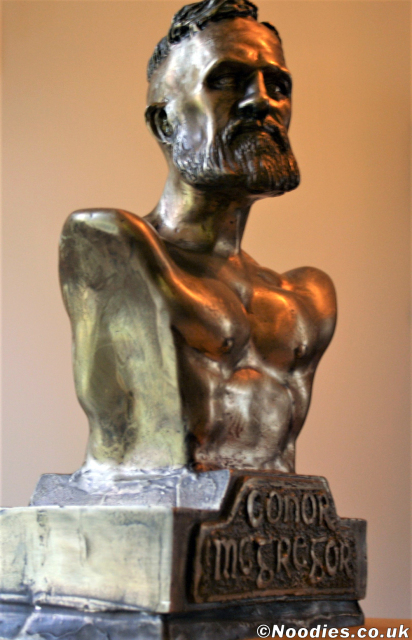 Conor is a great father, a fiercely loyal friend, and one of the best athletes in the world. He looks forward to getting back to fighting as soon as possible. McGregor and Cowley appear in court, where they are charged with assault and criminal mischief. McGregor is released under $50,000 bail. He will be allowed to fly home to Ireland after the authorities decided not to seize his passport. He will return to New York on June 14 for his next court hearing, along with Cowley. McGregor is led out of Brooklyn’s 78th Precinct police station in handcuffs. He’s still in custody, still at the police precinct until he’s removed to court this morning. Conor went bananas and put a beating on the van that we were in looking for Khabib. A million security guards had to restrain him. Mike’s cut up now. He’s got marks on him, for sure. I don’t think it’s too serious. McGregor posts his dislike of the UFC’s decision to strip him of his lightweight title and give it to the winner of UFC 223 on April 7. McGregor issues a heartfelt message to Schwarzenegger, who underwent successful heart surgery a couple of days ago. What an inspiration and true legend you are Arnold Schwarzenegger. It is great to hear you are back in good health my friend. What an inspiration and true legend you are Arnold @Schwarzenegger! Cena says professional wrestlers are the greatest salesmen (and women) in the world but the boxing match between McGregor and Mayweather may have been even better promoted. Cena says McGregor was so good at convincing combat sports fans to shell out $100 for his “Money” bout, that similar tactics in pro wrestling would put everyone else out of business. He would do fantastic. Hell, he would put me out of work. He gets the entertainment aspect of sport, and I think he gets it as good, or better, than anyone else. The way he promoted the fight against Mayweather… that’s what we do. He did it as good, or better, than us. St-Pierre has been linked with a mega-money fight against McGregor ever since he signed up for a new four-fight deal with the UFC in February 2017. Although St-Pierre says he is well aware of the huge payday a fight with McGregor would bring him, he says he is only interested in fights that will add to his legacy in the sport. The thing is about Conor McGregor, money wise, I believe he’s the one who can put more money on the table. However, legacy wise, I don’t think he’s the guy (to fight). He’s the main guy; he brought the sport to a different level. He’s the most charismatic guy. He sells; he’s the biggest seller in the sport. If you talk about legacy, if I come back, for legacy, that’s what interests me the most – more than the money. Money, yes it’s good. But if I come back, it’d be more for legacy a legacy match. 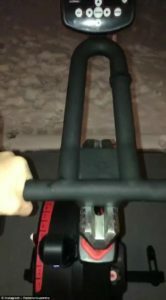 McGregor posts a clip to Instagram of himself outside on an exercise bike, despite the snowy landscape and freezing temperatures, to show that he won’t let the ‘Beast from the East’, as the recent weather phenomenon is called, stop him from training. McGregor takes to Instagram to say that talks between him and Mayweather, to meet in an MMA rematch, have ended unsuccessfully, as Mayweather has decided to remain in retirement. I am happy for Floyd and his recent announcement that he is out of these current fight negotiations. It is the reason I never seeked the rematch in the first place. I was happy for him in retirement. My game is a very unforgiving one. It is not like other games. I understand completely him staying retired. I will now carry on in my negotiations and see where it goes. Have a great retirement Junior. Now come here and give your old man a hug for old time’s sake. I’m proud of you son. Yours truly, Senior. Nurmagomedov says the fact that McGregor hasn’t stepped inside the Octagon in over 15 months is proof that he won’t be fighting in MMA ever again. He says McGregor’s team is focused on a rematch with Floyd Mayweather … instead of a real fight against him or Tony Ferguson — who he’s facing at UFC 223 in April. Nurmagomedov also says his contract for the Ferguson fight explicitly states they are fighting for the ‘real belt’ — which means the UFC is “100%” stripping Conor of his lightweight title. I don’t think he gonna come back. When’s the last time Conor compete in MMA? Long time. He’s boxing guy. Malignaggi continues the war of words which started after his acrimonious departure from McGregor’s Mayweather match training camp, and after a video clip from one of their training sessions was released. Malignaggi is keen to settle the score with McGregor but doesn’t believe he’ll get the chance. I don’t think McGregor is going to fight me, to be honest. I can keep baiting him or what-not but he has the sparring video and that video is not going to come out so he’s going to have the advantage over time. I don’t think he is going to fight me. He had his a** whooped in the sparring session and he has the whole world believing he didn’t so he’s not going to take a chance on that image and perception being changed. Ok, let’s go home now son. Speaking at the launch of Ultimate Boxxer – an entertainment company bidding revolutionise the fight game through eight-man, one-night elimination tournaments, Malignaggi says he will probably not get the chance to fight McGregor. I don’t think McGregor is going to fight me, to be honest. I can keep baiting him or what-not but he has the sparring video and that video is not going to come out so he’s going to have the advantage over time. I don’t think he is going to fight me. He had his a** whooped in the sparring session and he has the whole world believing he didn’t so he’s not going to take a chance on that image and perception being changed. He’d be stupid to – if I was him, I’d be stupid to risk that perception changing because right now perception is reality. The reality wasn’t that but if that perception is reality, he’s going nowhere near me. On his podcast, Bisping says Mayweather would be beaten easily by McGregor in the Octagon. I honestly can’t see Floyd Mayweather fighting mixed martial arts and certainly [not] in the UFC. If he does fight in the UFC it’s going to be against Conor McGregor…Conor McGregor in an MMA fight will f****** destroy Floyd Mayweather like he’s never seen…It takes so long to learn – so long to put the pieces of the puzzle together, so long to learn the grappling the transitions from the striking to the grappling. Conor McGregor would literally have a field day with Floyd Mayweather. I don’t know what [Mayweather]’s doing, he’s maybe trying to stay relevant, maybe he’s trying to hype his next boxing match, maybe he’s trying to get a rematch with Conor McGregor in the boxing world, I don’t know what he’s doing. But I will tell you this, everybody does have their price and apparently there was rumours floating round that a billion dollars was the price for a few fights in the UFC and a f****** billion dollars goes a long way. It would certainly be a record breaking pay-per-view, I don’t know if it’ll be more than McGregor vs Mayweather in a boxing ring but it certainly has the potential. McGregor is honoured at the 7th annual Best Of Ireland Gala in New York City for his continuing charitable work with children’s hospitals in Ireland. 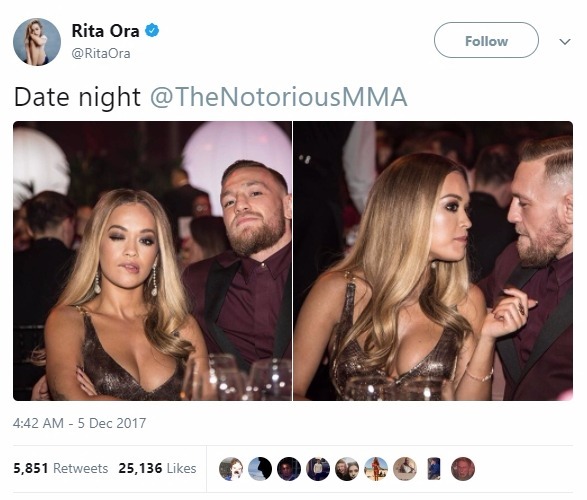 McGregor attended the event with his partner Dee Devlin as well as his MMA coach John Kavanagh and his girlfriend Orlagh Hunter. The event is held every year into raise funds for the Our Lady’s Children’s Hospital Crumlin in Dublin and Children’s Medical Research Foundation (CMRF). I look forward to hearing and seeing reports of where the money is put to use in the hospital. What a great night! McGregor says he is in negotiations for his next fight. McGregor says he would respect Mayweather for fighting in MMA. If he does do it, I know he’s flirting with it, I would have respect for him. I think it would get his earned respect then, if he was to step in [the Octagon]. He’s engaging, we’re engaging, so we’ll see…Of course, I’m seeing all the stuff Floyd’s putting out, all the stuff in the media. If it is [just hype], it will follow him for the rest of his days that he did not do it…I said I would do it and I stepped up and I done it. His time now. I went into his game, he should come into mine. Mayweather posts a picture of an uncashed $100 million check that he received in August 2017 as part of his payment for fighting McGregor. It’s proven I’ve got the Midas touch. During a Facebook live interview to promote Wimp 2 Warrior, Kavanagh says McGregor will return to UFC in 2018. There’s so much happening in the division and things changing around and what have you. I can’t say who [he’ll fight]. I can’t say when [he’ll be back]. As people who follow him on social media will see, he’s back, very motivated, training a lot. He’s in the gym every day. The plan seems to be forming and getting more exact every day that [he’ll be] back in the UFC this year. When and against who, I would be just guessing. Speaking on The MMA Hour, Ferguson says McGregor turned down a fight with him before he was offered his upcoming UFC 223 showdown with Khabib Nurmagomedov. As far as what they told me in the contract, that’s what they were telling me. 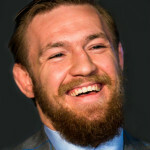 They were saying, ‘Look, you’re fighting for the undisputed title.’ That was after they told me I was going to fight Conor McGregor and then just a whole bunch of s*** went down and I was like, you know what, I just got to deal with this. What happened was they offered me a fight with a fighter who didn’t want to fight…I don’t know if it was a contract issue or what it was, the dude doesn’t seem interested to defend his belt against the number one and defending interim lightweight champion. Now I’m the champion because he didn’t want to defend it. Defend or vacate so my campaign actually worked. 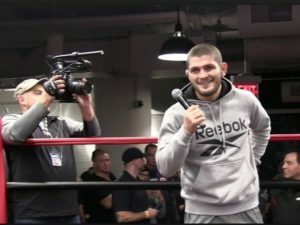 Nurmagomedov says if he wins against Ferguson at UFC 223, he may deny McGregor a shot at the lightweight title upon his long-awaited return to MMA. He says he is more interested in his legacy than his bank balance. I’m gonna make humble Conor. I’m gonna beat Tony and I’m gonna say to Conor, ‘Hey, you have to go into the [contender] line,’ because you have to deserve this. He has only one fight at 155 [pounds]. I am 25-0 at 155. Undefeated. Undisputed…I’m going to take this belt, and we’ll see what happens…Fighters try to make money with Conor but I’m not in this sport to make money. I can make money with other stuff in Russia, like a lot of money. I come here to make history, for my legacy. Working on the “Blitz” tonight at @sbgireland. An underrated technique until it goes through you at 100mile an hour. Shout out Celtic football club. McGregor, estimated to be worth €140 million, enters Ireland’s Rich List at 111 and is the second highest new entrant. He was beat by a young tech entrepreneur, Tommy Kelly, who operates eShopworld, which makes cross border shopping easier. Kelly is estimated to be worth around €150 million. Back at the gym floyds a rat. He is not a knighted Sir on this soil. McGregor rents out the Funderland amusement park in Dublin, Ireland for a private event for friends and family, including his son, girlfriend and training partner, Ciaran Maher. Great to meet this little man tonight. My training partner Ciaran Maher, his son and his wife. Ciaran's son was a patient in the cardiac department in Our Ladies hospital before. I went in one day on the low a while back and visited all the patients and helped out in my way for the department, and nobody knew about it, I made sure of it, but Ciaran reached out to me out of nowhere thanking me for it and I was like how do you know about that and was blown away as he told me of his son and his journey and that his life was saved by the people in the cardiac department in Our ladies. I done this on the low and it reached right back close to me out of nowhere. Crazy. It's crazy how you just never know. I invited the little champion, my brother Ciaran and his wife today and it was great to meet the little man, thank you for coming. 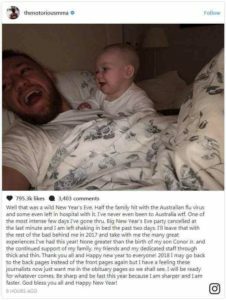 McGregor reveals he ended the year sick in bed for two days after being struck down with the Australian flu virus. He was forced to cancel a New Year’s Eve party after contracting the illness, but took to social media to share a snap of himself in bed with Conor Junior. Well that was a wild New Year’s Eve. Half the family hit with the Australian flu virus and some even left in hospital with it. I’ve never even been to Australia wtf!…Big New Year’s Eve party cancelled at the last minute and I am left shaking in bed the past two days. I’ll leave that with the rest of the bad behind me in 2017 and take with me the many great experiences I’ve had this year! None greater than the birth of my son Conor Jr and the continued support of my family, my friends and my dedicated staff through thick and thin. McGregor insists he won’t take “stupid” risks and will quit fighting before he suffers any potential brain damage, as he looks to return to the UFC. I always look at the end from a damage-taken standpoint. How much damage have I taken? How is my brain? How is my mental health? How is my physical body? How is my training? How is my preparation? How is my hunger for it? That is where I gauge how long I will do it and there is still a lot left in me. McGregor admits he no longer fights for the financial gain, but for the love of the sport. It is not necessarily a money thing for me. I am passionate about fighting. Fighting is what I love to do. I will continue to do it as long as I am healthy and willing to put in the work that it takes to do. I will not be stupid though. I will not notice things about myself and then continue to do it like many others before me…It is a dangerous, ruthless business and I am aware of that. Thankfully I am in a position of great wealth. I do not need to do it. I am doing it for the love of it. I will make my decision when the time comes. First of all, (he needs to fight) the interim champion. He needs to defend his title, it’s got to start there. I think Max Holloway is a fight that he needs to fight as well, if he still wants to fight it. Nate Diaz will be a great fight, but I think he’s holding the division hostage. He needs to defend his title. Otherwise, he’s going to have to step away from it. McGregor comes fifth overall and tops the list for the “Sports Figure” category in Fansided’s annual Fandom 250 ranking. In 2016, McGregor was ranked at number 147 on the list. The only sports celebrity higher in the ranking is Dwayne “The Rock” Johnson. Fansided says one of the biggest factors for the ranking was how McGregor dominated headlines in the media worldwide with his fight against Floyd Mayweather. The numbers support this. Mayweather vs. McGregor is a top-two most watched pay-per-views in combat sports history and was already the biggest draw in UFC history entering the year. McGregor’s newborn son gained tens of thousands of Instagram followers the day he was born. In a 12-month stretch leading into the fight against Mayweather, McGregor added 13 million followers on social media and his posts generated 419 million interactions. Ferguson says he wants a title unification bout against McGregor in the first quarter of 2018. Pacquiao says he has opened talks with Conor McGregor for a big-money fight in April next year. If we can negotiate it, I have no problem. It is OK with both of us. [Talks?] Initially, but we have not yet had any follow-up conversations. Date night is a figure of speech, Rita also posted selfies with Donatella Versace as her real date and one with Jourdan Dunn as her date.